Wondering why outsourced accounting is trending in today’s world. Many companies are looking for methods that can cut down their costs. Among that one approach is to outsource accounting services to external specialists. Outsourcing accounting is a major area which is growing rapidly that helps both the large and small business sectors. Choosing an outsourcing company can offer you various potential benefits. 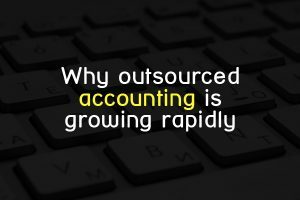 Here are some good reasons about why outsourcing accounting service is desirable. Outsourcing your accounting work to an expert is much better that doing it by yourself which is time consuming. You can obtain superior talents by outsourcing your accounting works to an accountant. These outsourcing companies will have experts with expertise in several areas that can provide you with trustworthy results. The quality of work is the main reason why many businesses choose outsourcing accounting firms. It may be an easy task for the startup companies to do their accounting work but difficult for large companies. Even if the company is small or large they have to correctly account for capital purchases, payroll, taxes, forecasting and a lot more. An outsourcing accounting company is capable of doing such work professionally, thus outsourcing ensures versatility. Outsourced accounting work can also help you obtain access to high-end technology and analytics which reduces your internal tasks. You can save your time which is used for educating employees, assessing, testing etc. Outsourcing firms also offers trusted financial advice that can help you manage your business with ease. They can also provide you with financial health of your business that will help you understand all about your expenses and incomes. They also monitor all of your data and can provide you with financial statements. Outsourcing accounting firms can be scaled to your needs as your business grows. These firms can do both monthly and daily services according to the customer’s needs. This is a perfect way to fulfill all your business requirements in a timely and economical way. This is a cost effective method which helps you to know all about your expenses and earnings. Outsourcing accounting has become a good business habit that can be carried for a long time. If you want to manage your business accounting then contact us, we have experts in accounting and bookkeeping who can provide you with professional service.